When you decide you might be ready to sell your home or investment property it is good to know all the different types of real estate relationships there are to help you in the sale of your home. Each agency typically has the same end game, the processes and costs to get there are varied, and some are different only in small details and are easy to confuse. When a residential real estate broker represents prospective seller of real estate exclusively it is considered a seller agency. Agency owes the seller/principal the common law and statutory agency duties. Relationship established by contract or written and sometimes verbal agreement. A flat fee or commission fee is established and recognized. A buyer agency is very similar to the seller agency in many aspects. It occurs when a residential real estate broker represents prospective buyer of real estate exclusively. Agency owes the buyer/principal the common law and statutory agency duties. Relationship established by contract or written and sometimes verbal agreement. A flat fee or commission fee is established and recognized. An Implied Agency is formed when an implied agreement is reached. Implied is defined as involved, indicated, or suggested without being directly or explicitly stated; tacitly understood. This can be with actions or words. This agency can occur unintentionally, inadvertently, or accidentally by the actions of the parties signifying they have mutually consented to agency. 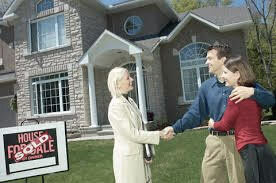 A Dual Agency occurs when and agent/broker represents both the buyer and seller in a single transaction. This form of agency is unethical unless both parties are aware of situation and agree to it. This agency is illegal in some states due to the inability of single agent to fully and completely represent both sides of a negotiation. Dual agency can occur intentionally or unintentionally. Agency is established by contract or agreement. A Non-Agency Facilitator does not represent either the buyer or seller. The buyer and seller wholly negotiate sale of real estate without any help from the agency and the only things non-agent does is help parties with paperwork and formalities involving transferring ownership of real property. Non-Agent equally represents buyer and seller buy may not be involved in any negotiations. Agency is established by contract or agreement. A Designed/Split Agency is a process that accommodates in-house sale in which two agents are involved in representing both the buyer and seller. Very similar to Dual Agency, except single agent is not representing each party, its just that two separate agents under same broker are representing both parties. Leading broker will designate one agent to represent buyer and one agent to represent seller and they must not confer or negotiate wholly. Broker is considered a Dual Agent and disclosure and agreement among all parties is required. It is illegal in some states due to the fact that it is very difficult, if not impossible to fully and wholly represent either parties of interest. Hopefully this helped you in understanding all the agency options and which option may be best for you when you decide to sell. Always know your specific situation and the needs that come with that, and choose the best agency that fulfills those needs. Good luck and best of wishes when it comes to your sale.